I sent this to an accessible posek,not associated to Rav Friedlander/Rav Elyashiv (or Rav Vozner), for his opinion. He said it was kosher. 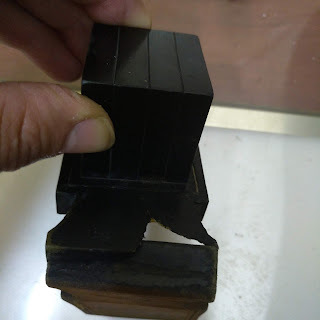 I then pointed out that the leg measured 2x the height of the head, measured from sirtut and not including any of the ink that spread between the tagin. He replied, "It's a Nun". Being uncomfortable with his opinion since it's has the correct proportions of a Zayin, I showed it to another talmid of Rav Friedlander, who, unlike myself, publicly answers shailahs, and he said, "The opposite. We pasken like the Avnei Nezer (Siman 11)". Also see Mishnas Hasofer 6:2, Shaar Tzion 2 and 3. The other posek refused to discuss it further via electronic means and I'm unable to discuss it with him in person. Anyone have a suggestion why he'd machshir it without question? Looked up and learned the sources that you supplied, Thank you. But for the forum members and visitors will try to elaborate. When writing in a perfect font exactly as described in Boruch Sheomar, Alfo Beiso etc. 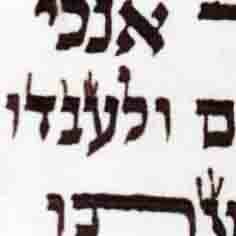 it’s expected that a Nun Pshuta will have the same bottom ending point as a Gimel, Nun, Pey, (Ayin), Tzadik. So, having a Nun Pshuta near any of those letters, can likely confuse even a child that is very fluent in reading, to think that it’s not a Nun Pshuta rather a Zayin. And if you write in the correct dimensions there’s practically no solution for that. 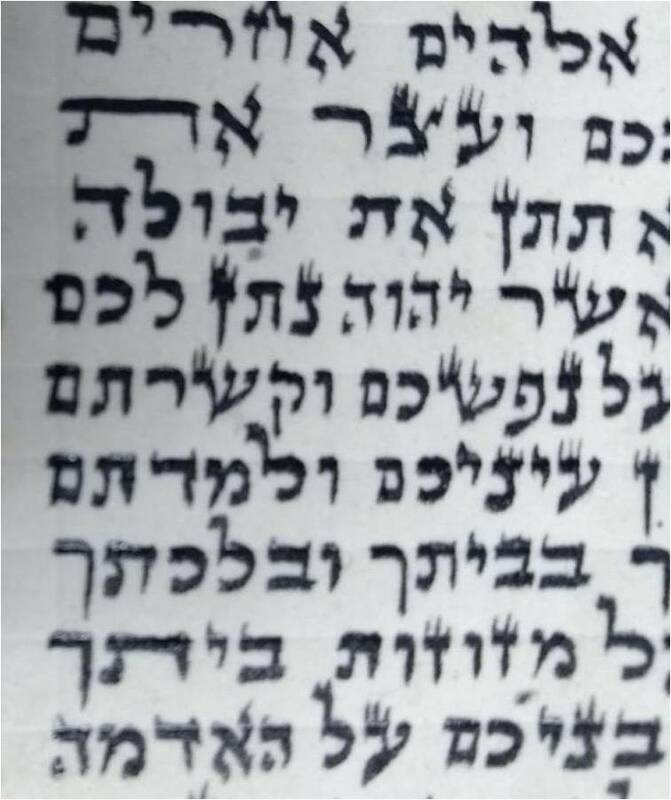 Here comes the אבני נזר and clarifies, that since the foot of a Zayin is less then 2x its head, and foot of Nun Pshuta is 3x its head, that said and done, even when a child will read it wrong, since it’s properly written, will judge the letter ignoring its surrounding. 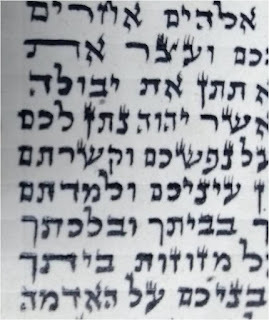 1. the אבני נזר is talking about in a case that ALL the letters are written in “perfect dimensions”, and therefore you cannot Passel a letter that looks smaller just because it’s standing near a larger one. 2. The leg of a proper Zain does not necessary measure 2x the height of the head, rather as the אבני נזר here stats “ורגל הזיי״ן ארוך כפלים מעובי גגו, פחות מעט”. 3. If one would take literally that ALLWAYS אין צריך לשער לפי אותיות שבצדו והכשר האות ופסולו תלוי בעצמו, then very likely that the Zain in מזוזות can be a Nun Pshuta! 4. Although the proper Nun Pshuta is רגל הנו״ן פשוטה פי שלשה מעובי גגו, as the אבני נזר mentions here. 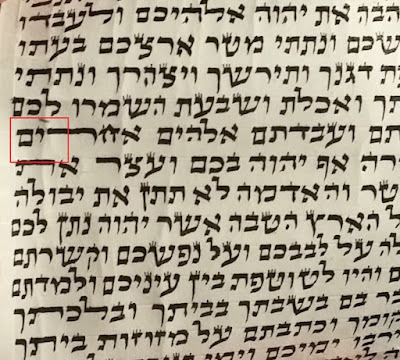 See דרכי משה או״ח סי׳ לו ס״ק ז and בית יוסף there by letter ק, that something shorter can also be a Kosher Nun Pshuta. Anyone have a suggestion why someone would Pasel it without question? why someone would apply “Avnei Nezer (Siman 11)" to such a Font that doesn’t AT ALL fit his font description?